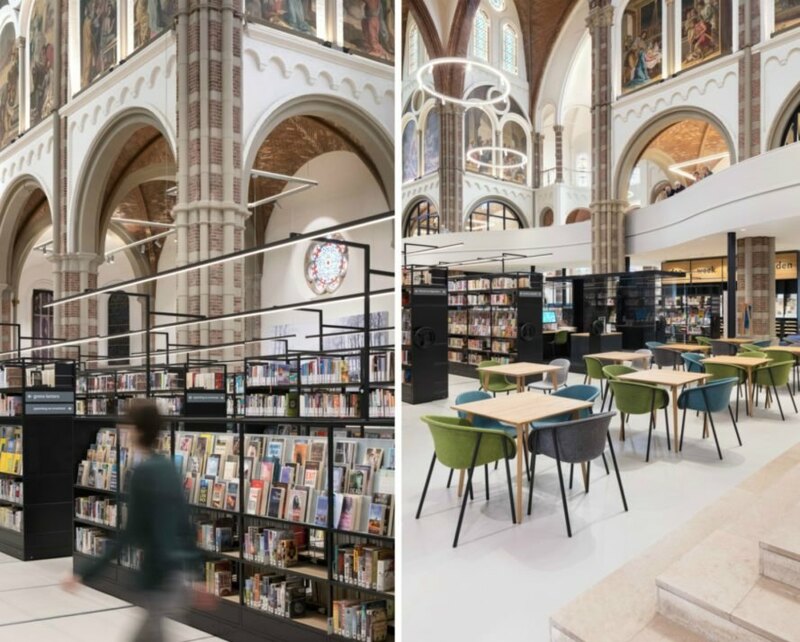 Dutch firm Molenaar & Bol & van Dillen Architects breathed new life into a 19th-century church by turning the space into a vibrant library and community center. 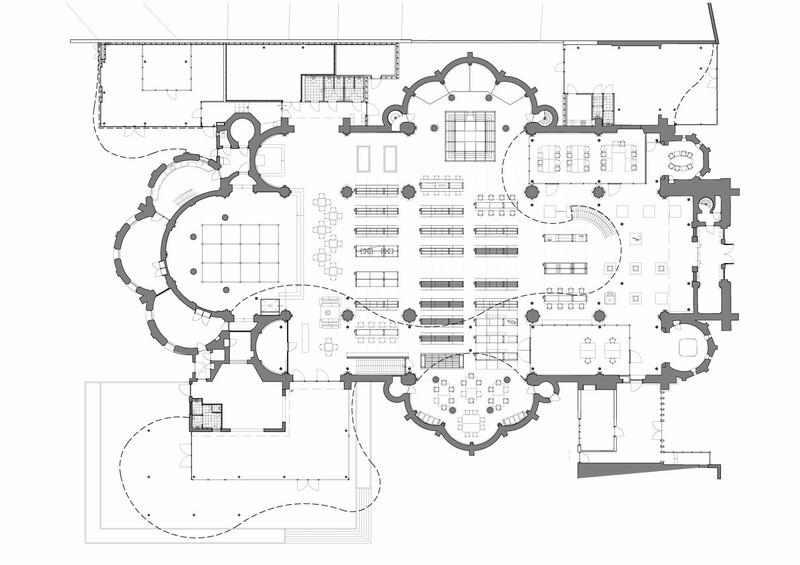 The renovation focused on retaining the original layout of the church, which dates back to 1884. 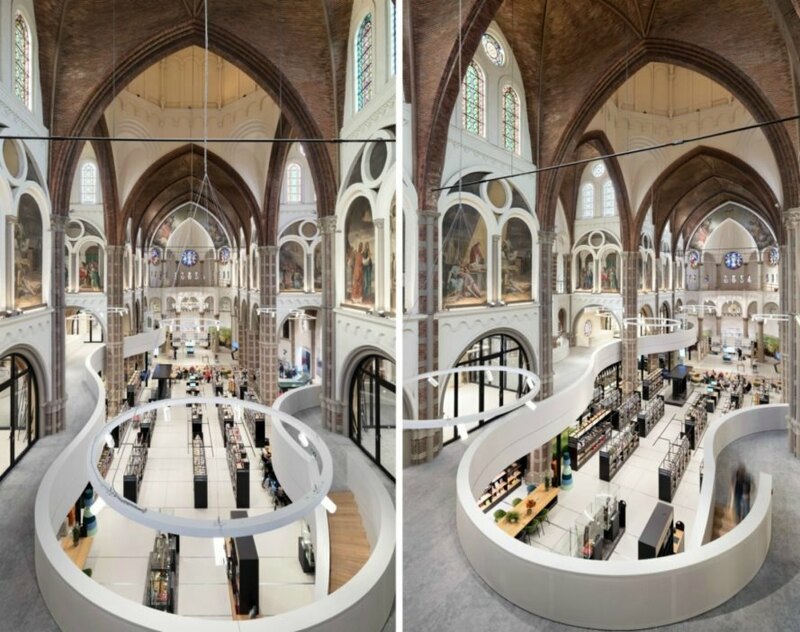 The result is a beautiful, wide-open interior converted into a breathtaking library with sliding bookshelves. The multi-functional space also includes exhibition halls, meeting spaces, and a restaurant. 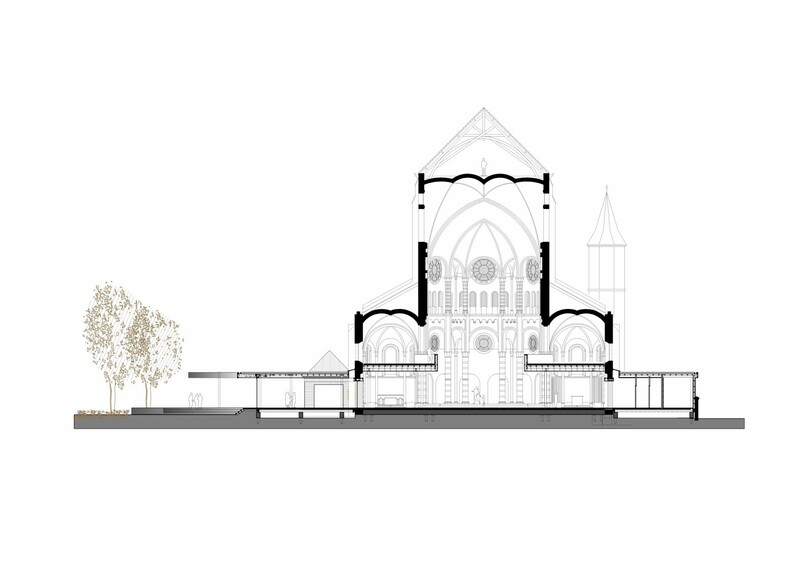 The architects kept the church’s original structural layout intact and lined the massive interior with thousands of books. The church’s original windows work in tandem with the added lighting to create a bright, well-lit space. Bookworms can easily access the library’s inventory, which is kept on sliding bookshelves. The shelves, installed on a rail system, can be moved when more space is needed for large event or to create private areas for smaller conferences or meetings. To add more functional space to the interior, the architects created an impressive 5,380 square-foot mezzanine level lined with several study areas and meeting rooms. This curvaceous feature continues through to church‘s exterior, where it forms the roof of four pavilions connected to the facade. A restaurant was also installed in the garden pavilion on the south side of the building. 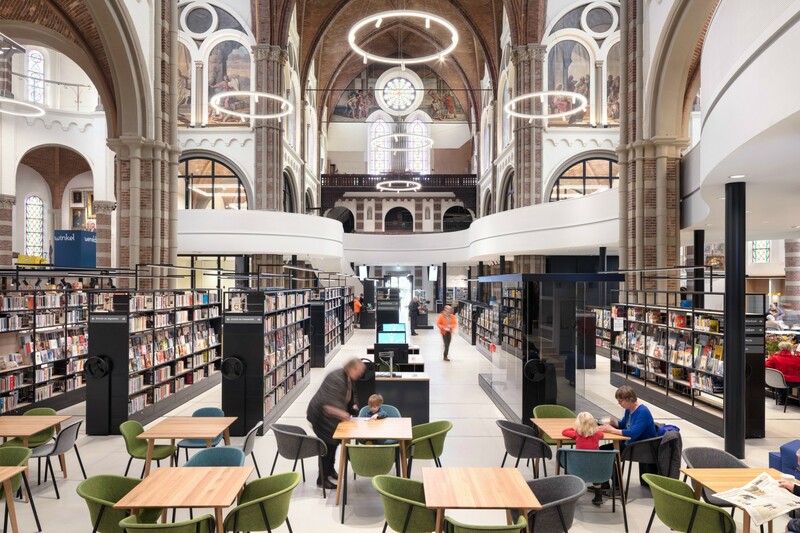 Dutch firm Molenaar & Bol & van Dillen Architects has breathed new life into a 19th-century church by converting the space into a vibrant library and community center. The renovation focused on retaining the original layout of the church, which dates back to 1884. 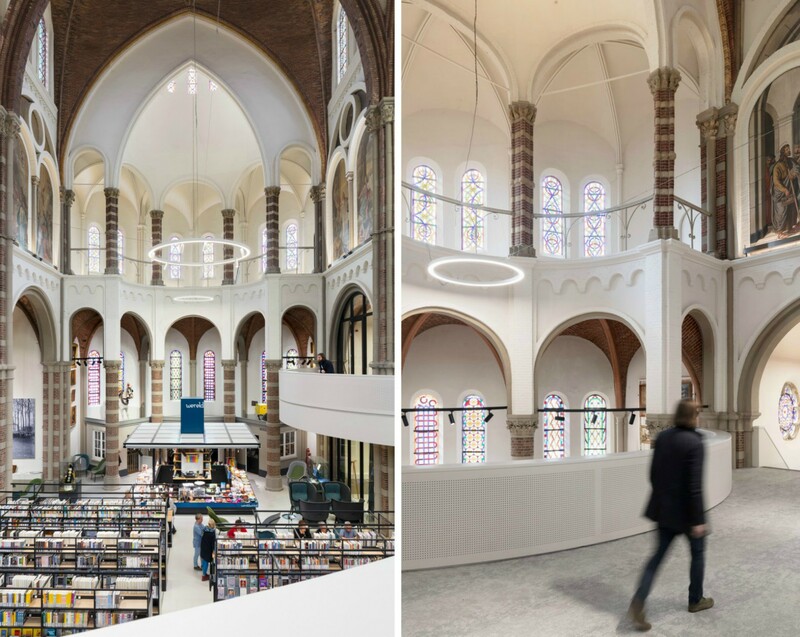 The result is a beautiful, wide-open interior converted into a breathtaking library with sliding bookshelves. The multi-functional space also includes exhibition halls, meeting spaces, and a restaurant. The church's original structural layout was kept intact. Bookworms can easily access the library's inventory, which is kept on sliding bookshelves. The shelves were installed on a rail system so they can be moved to make way for events and conferences. 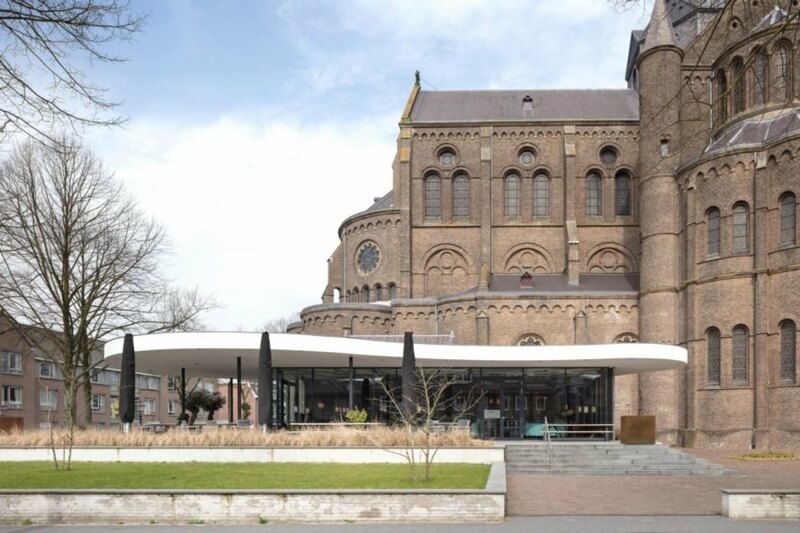 The curvaceous mezzanine level continues through to the outside of the reformed church, where it forms the roof of four pavilions connected to the facade of the building. 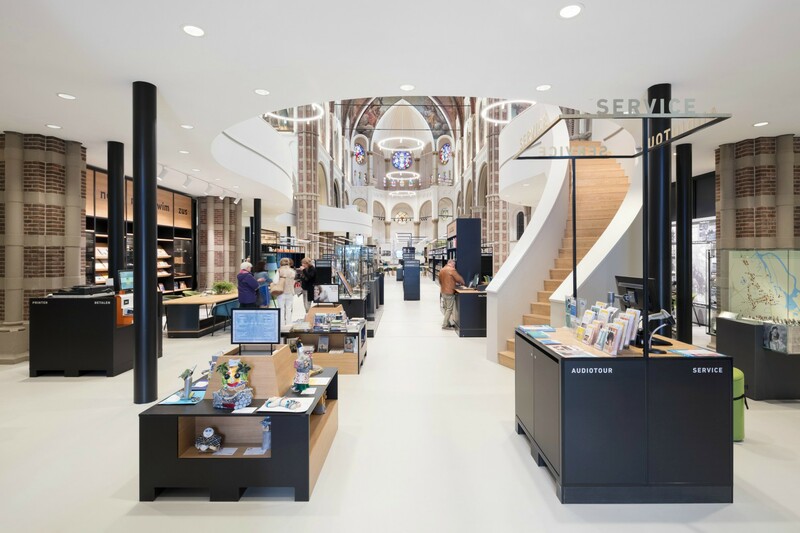 To add more functional space to the interior, the architects created an impressive 5,380 square-foot mezzanine level that looks out over the ground floor. The walkway is lined with several study areas and meeting rooms. The library is well-lit thanks to the church's original windows. 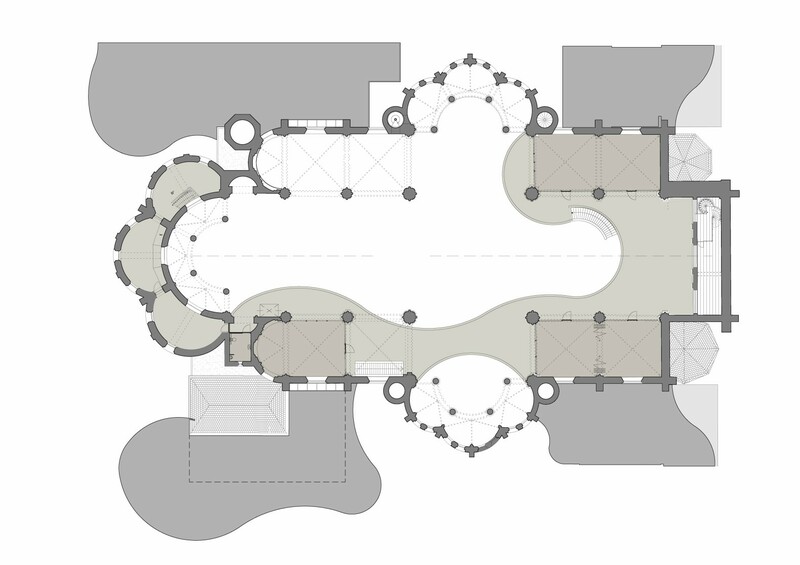 De Petrus Library floor plan. 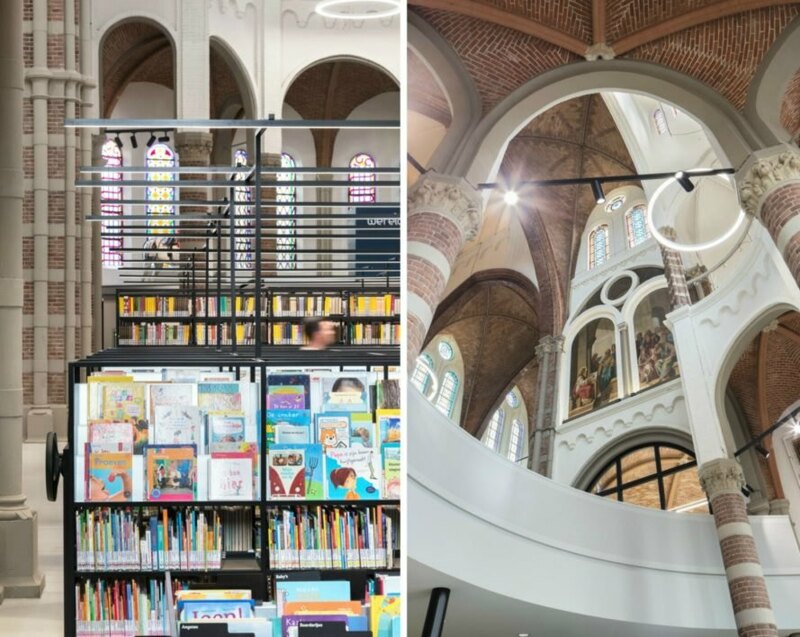 The library's interior combines the modernity of a 21st-century library with the elegance of the church's 19th-century architecture.